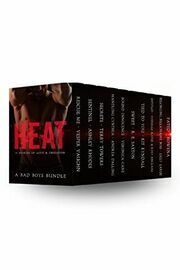 This limited time 10-book bundle features military hunks, hot alpha billionaires, determined doms, and scarred heroes with wicked vendettas. First loves, second chances, third time’s the charm…you’ll find all sorts of love stories here with varying levels of steam! Each story is a standalone romance (no cliffhangers) with an HEA.